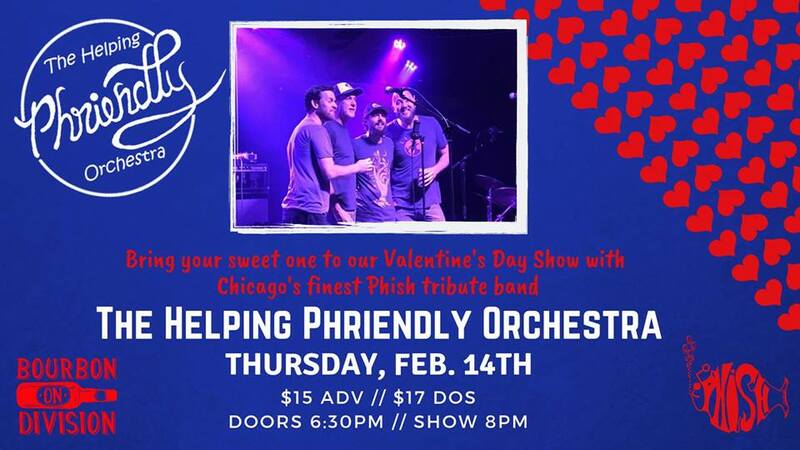 Chicago's finest Phish tribute, Helping Friendly Orchestra plays Bourbon on Division - Chicago! Founded in July 2010, Helping Phriendly Orchestra shows are built on the extensive, intensive and playful catalog of Phish. HPO revisits full Phish shows in their entirety or plays "phantasy shows" drawing on Phish's seemingly never-ending list of tunes. Each band member is dedicated to learning the intricacies of Phish's music. At the same time, HPO maintains the improvisational nature of Phish through musical experimentation, exploratory jamming, connecting with each other and our audience.